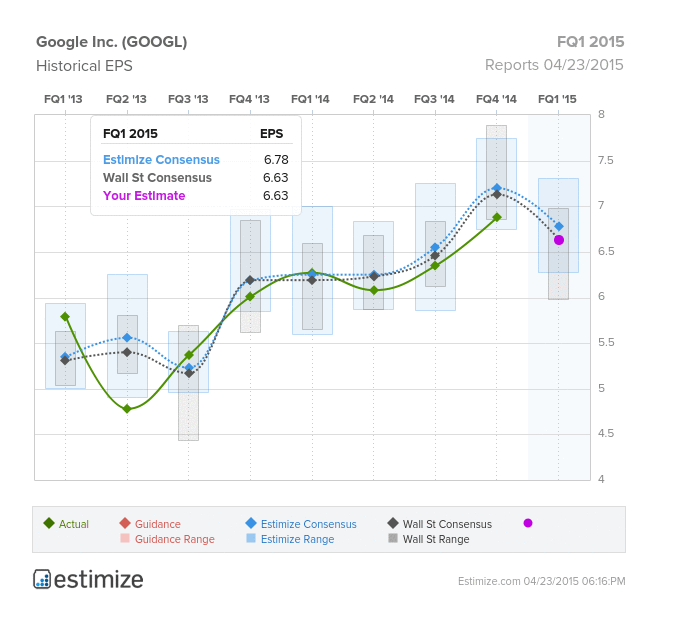 Estimize CEO Leigh Drogen recently discussed Google Inc (NASDAQ: GOOG) (NASDAQ: GOOGL) ahead of its earnings release. The Wall Street consensus was for EPS of $6.63 on revenue of $14.061 billion, while the Estimize consensus was slightly higher and expected EPS of $6.78 on revenue of $14.261 billion. Drogen noted that sentiment had been declining over the quarter with social media competition increasing and along with FX headwinds. “There is negative sentiment going into this report,” however, the stock was trading in line with the current estimates, according to Drogen. The recent performance of the stock along with negative sentiment could leave room for an upside surprise, in Drogen’s view, although it seemed unlikely that there would be a surprise when Google reports on Thursday. Heading into its earnings release, shares of Google traded at $546.59, up 1.34 percent.